One of my best friends had this yellow-ish wooden hanger she wanted to use in her daughter’s bedroom. Her room is very whimsical and girlie, perfect for our little “Tay”. Click here to see some DIY nursery letters made especially for this room. My friend said she wanted to paint it white. Since I already had all the essential tools and paint, I offered to do it for her. 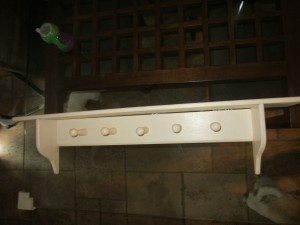 I used the same paint I used for the Disney Princess table I refurbished. 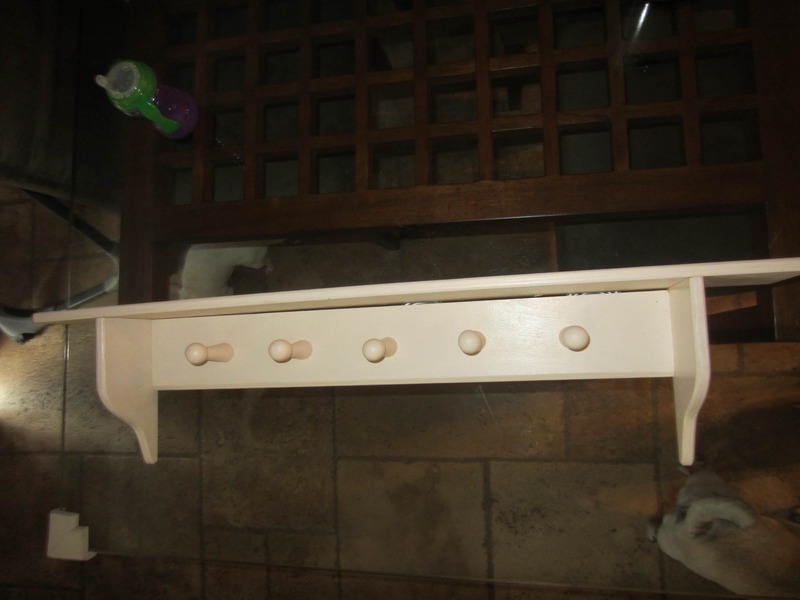 When I got it home and started painting it, I knew I couldn’t just paint it white. I wanted to surprise my friend and had to jazz it up a bit. I used sand paper to smooth out any bumps or scratches. 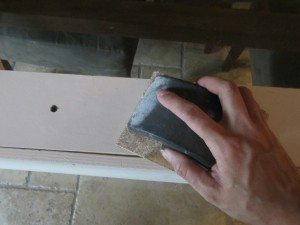 Sanding also helps the paint adhere better, especially when you are not using a primer. For tips on when to use and not to use primer, click here. After cleaning it off from the dust and debris I painted it white. Also consider spray paint. It’s quicker and faster. I decided to use paint because I already had some left over from another project. I used two coats of paint, allowing it to dry completely in between coats. 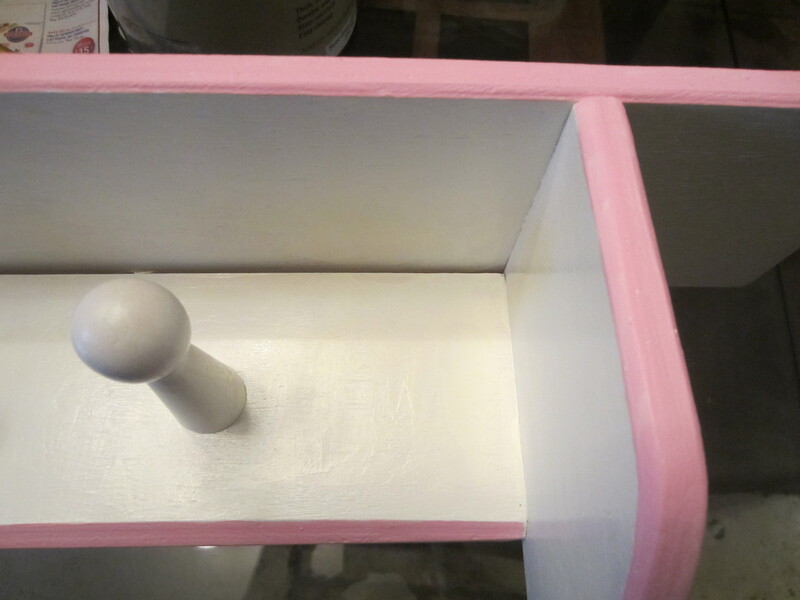 Next, I used an acrylic craft paint and hand painted pink trim with a small brush. One coat was perfect. Tip: Soup cans worked perfectly to hold up the coat hanger while I painted and let it dry. 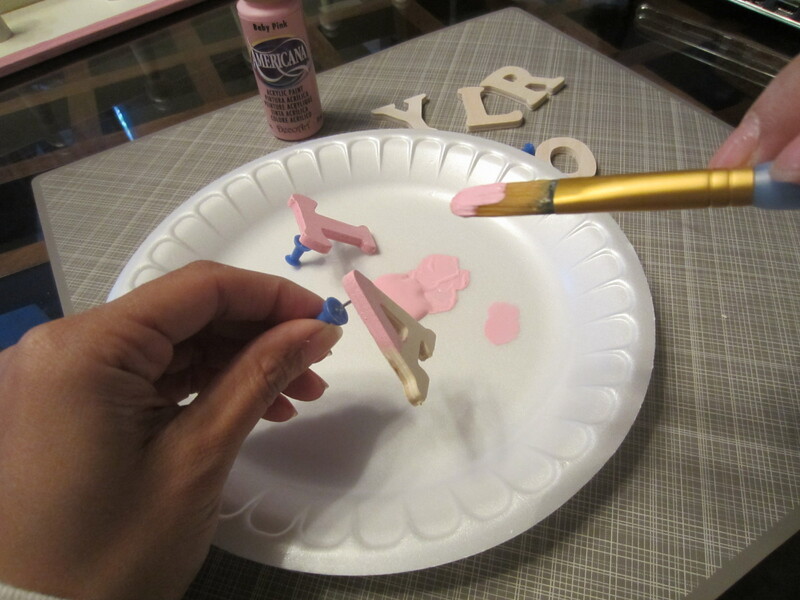 I purchased these cute little wooden letters from a craft store for about fifty cents apiece and used the same pink craft paint. 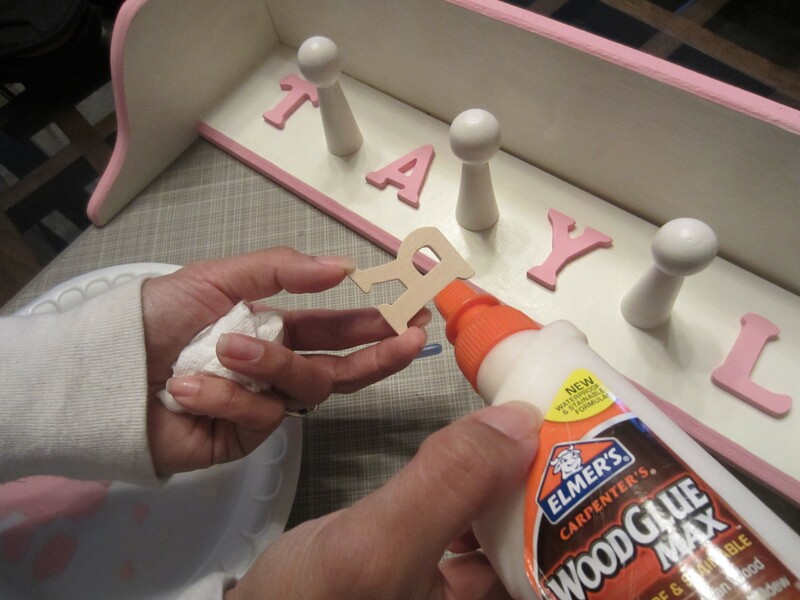 Tip: I used a thumb tack to prop up the wooden letter. 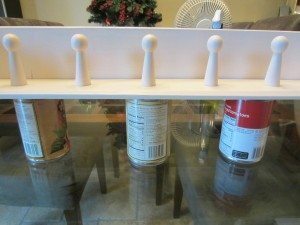 This made it easier to hold and paint all sides as well as dry. I used wood glue to adhere each letter. I love the letters. It’s a great way to personalize it. I love it! Thank you! It was a fun and easy project and one she’ll always know is from her Auntie D! Such a cute idea. I think I might try this out for my daughter’s room! Send me a piture if you do! !